Description Learn to use your sewing machine, or borrow one of ours. 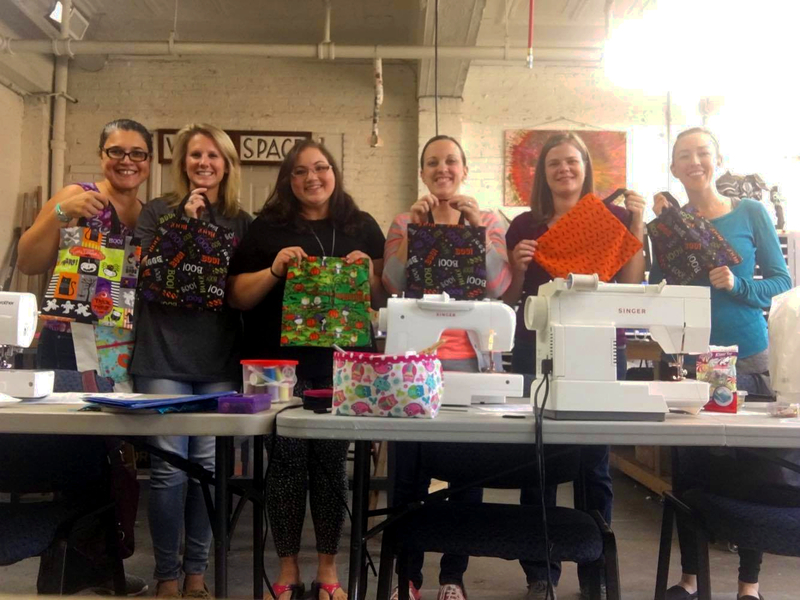 The instructor will walk you through how to use your machine- you'll load the bobbin, thread the needle, make practice stitches and then create a fabric Halloween-themed bag. Practice resources, pattern, and project fabric are provided. Required Equipment Sewing machine optional. If you do bring your own, please bring the owner's manual as well. Edi is the owner and maker at Sweet Remarks by Ediane, where she specializes in handcrafted toys and children items, because every gift should make a statement! Inspired by the children in her life, her two girls in particular, she creates safe and unique toys that children can treasure for a long time! "I've always been crafty and creative, whether it was drawing, painting or scrapbooking to name a few." These are the makers who are going to bring this project to life! There are 5 open spots remaining.